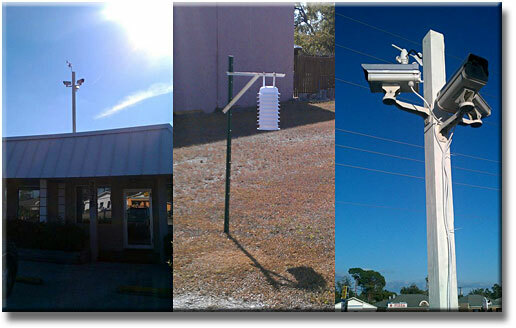 The station is situated in the heart of Charlotte County, about 350 yards south of Midway Blvd on US41. It is powered by a Honeywell TE923W-M Professional Weather Station. The data is collected every 10 seconds and the website is updated every 2 minutes. 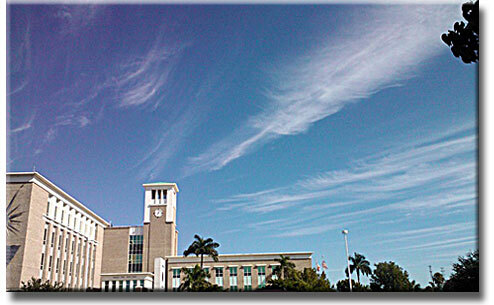 Data is collected using Weather Display Software. 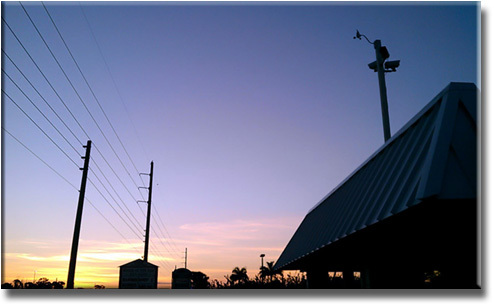 The station is comprised of an anemometer, a rain gauge (accurate to ±0.03 .. trace amounts will not register), ultra-violet sensor (UV Accuracy: ±10%) and a thermo-hydro sensor situated in optimal positions for highest accuracy possible. Port Charlotte, Florida, is located at the north end of the Charlotte Harbor Estuary northwest of the City of Punta Gorda. It is 100 miles south of Tampa and 65 miles north of Naples. According to the United States Census Bureau, the CDP has a total area of 23.9 square miles (61.9 km2). 22.3 square miles (57.8 km2) of it is land and 1.6 square miles (4.1 km2) of it (6.66%) is water. Port Charlotte has a warm humid subtropical climate (Köppen climate classification: Cfa) bordering on a tropical wet and dry climate (Köppen climate classification: Aw). The summers are long, hot and humid with frequent afternoon thunderstorms. The winters are mild to warm with a pronounced drop in precipitation. Year round, the diurnal temperature change averages around 20 degrees Fahrenheit (11 degrees Celsius). Never base important decisions on this or any information obtained from the Internet.